An analysis of millions of tweets has determined that the saddest day of the year so far was April 15, the day of the Boston Marathon bombing. 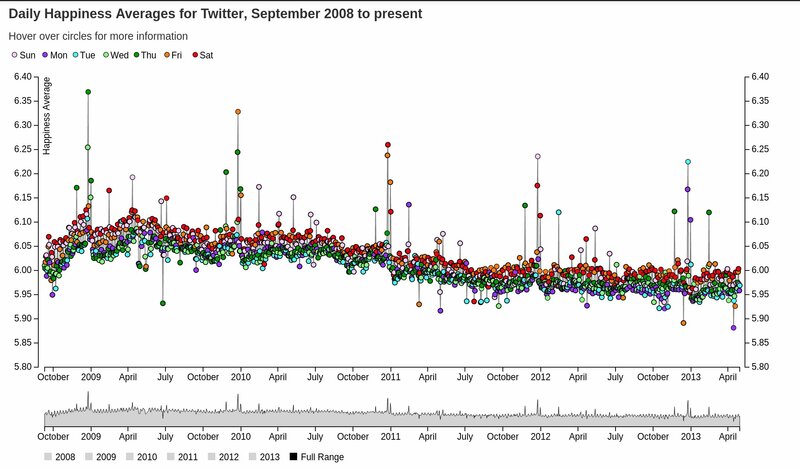 April 15 was also Tax Day and a Monday, so it was sure to generate negative tweets regardless of news events. However, the bombing led to an outpouring of grief on Twitter. 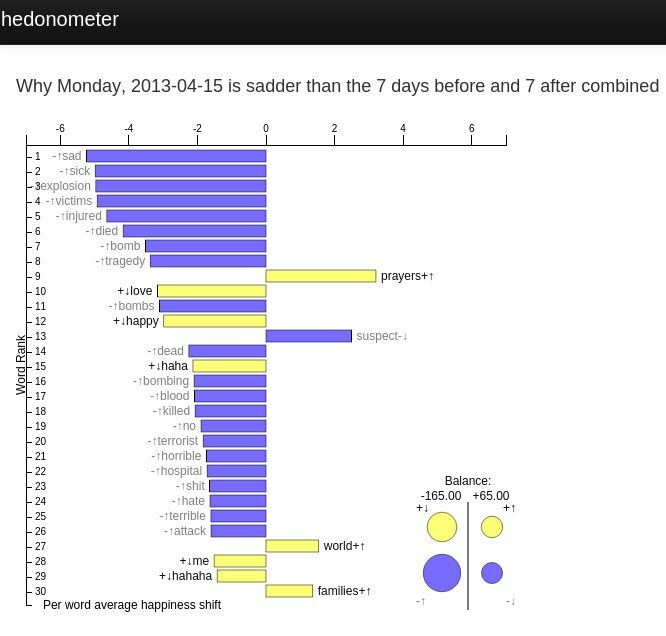 Here's how Hedonometer works: The research site monitors "a random sampling of roughly 50 million (10%) of all messages" posted to Twitter each day (an astonishing 100GB of data daily!). The 5,000 most common words in the English language, based on several sources, are included in the analysis, and each word gets scored on a nine-point scale of happiness: (1) sad to (9) happy. On April 15, the tweets leveled off at 5.88 on the happiness scale, down from the typical 6.0 or so that is usually seen. On that day, some of the most common words used were "sad," "sick," "injured," "died," "bomb," "tragedy," "blood," "killed," "hate," "terrible" and a series of curse words. So what's the happiest day of the year? Every year, without fail, it's Christmas Day, Dec. 25, when words like "merry," "family," "happy" and "love" are in high use.